Industrial manufacturing growth comes from a mindset change. The newest, flashiest tactics and trends might be eye-catching but sustainable growth comes from changing the way you think about your customers, business, and processes. No industry has escaped the influence of the Internet, not even industrial manufacturing. If you want to create growth and reach your prospects in the modern world, that means being online. More than that, it means being helpful. If you’re not online being helpful first, you lose the opportunity to create a relationship, and you miss out on the chance to win the sale. 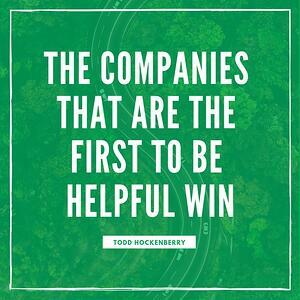 Being helpful and committed to seeing your customers succeed isn’t just another marketing or sales tactic, it’s a mindset, and it comes from the top down. To truly change how you think about your customers and your business you absolutely need executive buy-in to help shape the company culture and processes that support that necessary change. Why? Because behaviors are driven by beliefs. 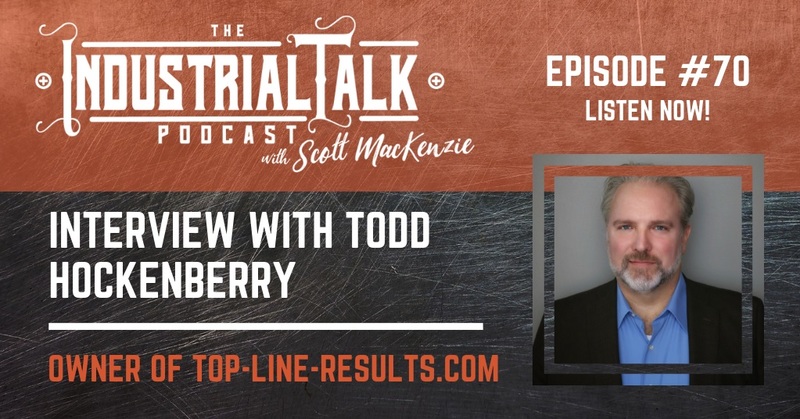 Recently Todd sat down and talked with The Industrial Talk Podcast’s Scott MacKenzie about how to leverage change from the top down to create industrial growth. From a deep dive into the 8 things you can do to grow a B2B business to why no one cares if you say you have great service, this is an excellent episode of The Industrial Talk Podcast for anyone struggling with industrial manufacturing growth. Check out the episode here or wherever you listen to podcasts. To learn how to grow with modern buyers - our clients see at least 10-20% growth the first year working with us - call me at 407.406.3959 and see how we can help.